"And don't make promises... cause you know you can't keep'em." On Monday night my sister had a movie night with her friend Jodie. Jodie picked the last movie we watched and it turned out to be a good'un and she'd recommended The Call a few times. I don't mind Halle Berry but I've never been a really big fan. There are some actors you see are in a movie and they make you want to see that movie. Halle Berry has just never been one of those actors for me. So I wasn't going into this movie particularly excited, knowing she was the main character. However, I got a little more excited when I realised the other main character was Abigail Breslin. She played one of my favourite child characters back when she was Bo in Signs. I love that movie and her portrayal of Bo. It's also been kind of cool seeing her grow up on screen. She was in Raising Helen, Definitely, Maybe, My Sister's Keeper and New Years Eve. The Call would be the most recent movie I've seen her in. 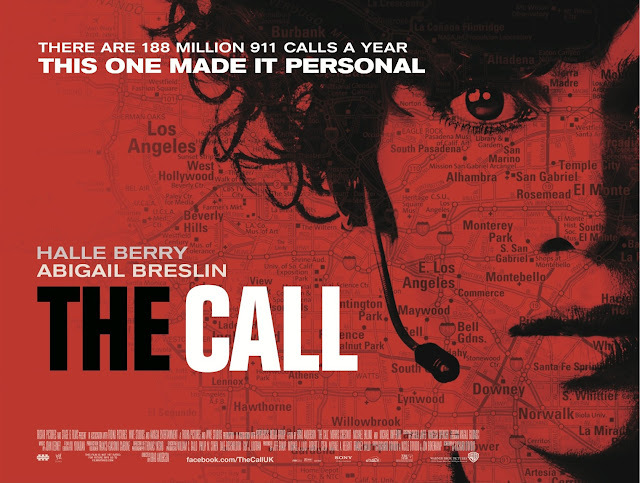 The Call is a 2013 American crime thriller, directed by Brad Anderson. It follows the story of Jordan Turner (Berry) a veteran 911 operator who takes over a call from a teenage girl called Casey Welson (Breslin) who has just been abducted. Turner soon she realizes that she must confront a killer from her past in order to save the girl's life. This film is one thriller that really did give me a thrill. I was on the edge of my seat during parts of it, not only because I don't wear a seat belt! (Wheelchair humour. Get it?) Much of the story is during the hunt for the abductor, during which Welson is on the phone with Turner. This part of the film was by far the best. It felt like a real insight into what it would be like to be a 911 operator. However, the ending ruined that for me. The fact Turner took matters into her own hands to go look for Welson felt wrong. And then the fact they both decide to dole out their own punishment rather than leaving it to the law also felt wrong. Something that went from quite a realistic story started to feel forced. Another thing that felt forced was Welson's turn around. 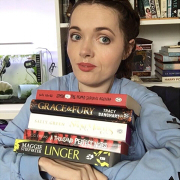 At the beginning of the film I remarked that it felt like the two teenage girls, Welson and her friend, were written by someone that didn't actually know how teenager girls spoke or acted. One being overtly sexual and trying to tempt Welson into swearing etc. They just didn't seem realistic. However, by the end of the film Welson was happy to lie to the authorities and leave someone to die, albeit someone who had abducted her but still. Halle Berry's acting was great and you really felt for her character. Abigail Breslin also did a great job and I do see her transitioning well into more adult roles. Something that can't always be said for child actors. Neither of the actors are to blame for the downsides to the film. Although I feel like the film did miss the mark at certain points, I would still recommend it. It's a good thriller and as I said the main actors are great in their roles. If you enjoy Halle Berry or crime thrillers then this is definitely the film for you!